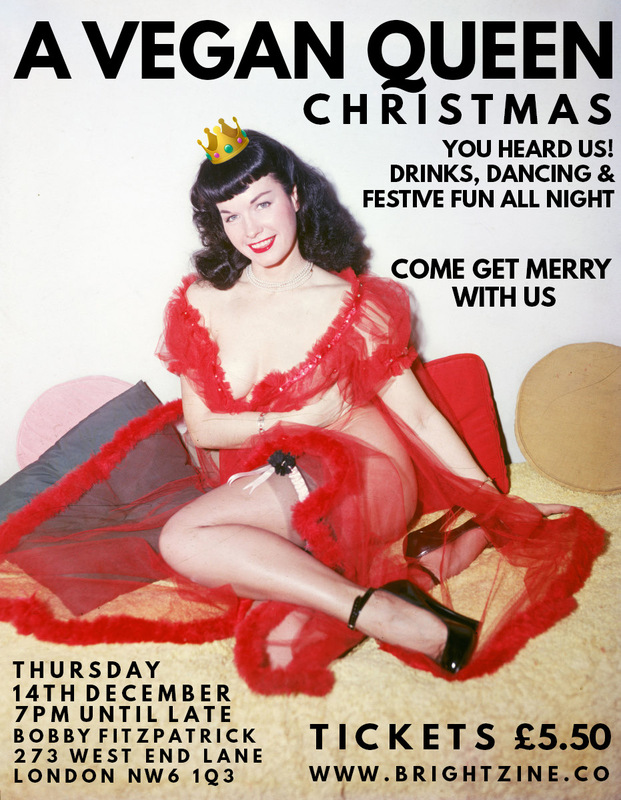 Come and join us for Vegan Queen Christmas drinks on Thursday 14th December from 7pm. We'll be taking over part of Bobby Fitzpatrick's in West Hampstead for a festive drink up. The whole bar is like the inside of a 1970s house (with an actual kitchen and dining room) and they do the best (and strongest) Pina Coladas we've ever tasted. Ticket cost is to cover venue booking ONLY and includes a WELCOME DRINK (glass of wine / bottle of beer / soft drink). We're not making money out of this, we just want to drink with some vegan queens (reminder: anyone can be a vegan queen). LIMITED NUMBER OF TICKETS AVAILABLE, BOOK YOURS NOW.